Having such a photogenic dog on our hands has pushed us to build a little website showcase for him. 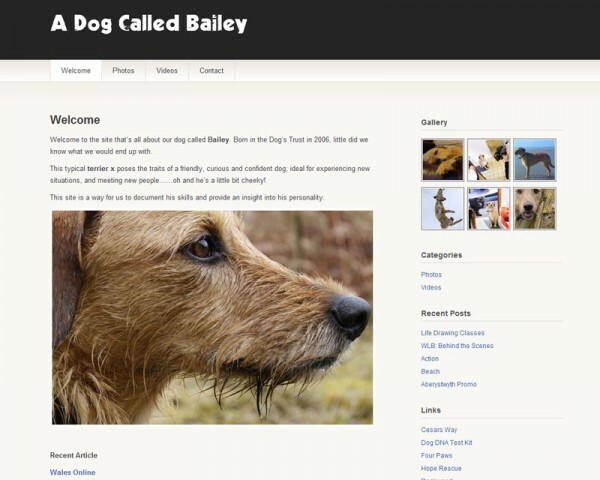 adogcalledbailey.com is now live and it’s great to see what he’s been up to over the last few years in one place. Paper Thin Music Video – Bailey the star made into a cut out. Another one of Baileys previous vids here..
Paperthin Music Video from Hettie Griffiths on Vimeo. Comments Off on Paper Thin Music Video – Bailey the star made into a cut out. Bailey the dogs been at it again!.. Here’s an advert for an online campaign recently completed for Orchard. Asking for sausages in welsh has never looked so easy! Wish I could get sausages that easy at the local Butchers. Dogs will be dogs eh!